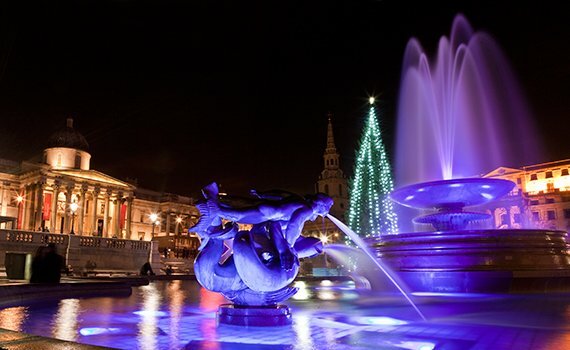 Christmas in London – An Enchanting Winter Experience! 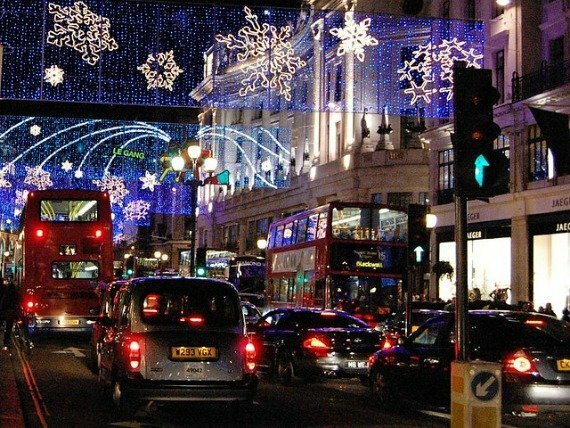 The holidays are just around the corner and London is the place to be for holiday cheer and fabulous shopping! The festivities begin in early November as one shopping street after another throw big bashes to “switch on” the Christmas lights and kick off the holidays. This year there will even be fireworks on Regent Street to celebrate the season! Whether you’re planning a holiday getaway to spend Christmas or New Year’s in London or planning to come early for the holiday shopping, here’s a looks at some of our favourite things to do during the holiday season in London. We hope you’ll experience it for yourself this year! With everything from high street fashions to boutiques from top British and international designers to antique hunting along Portobello Road, London is one of the world’s best shopping cities anytime of the year. During the holidays when the city is decked out with lights and decorations it’s even more magical! Curious to find out more? 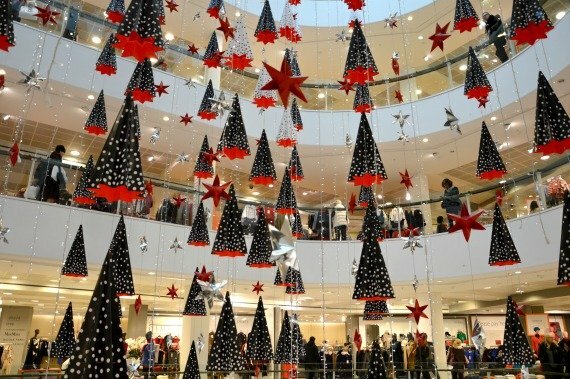 Check out our recommendations for the very best holiday shopping spots in London along with our insider tips. Whether you’re out holiday shopping and checking off your Christmas list or simply looking for a festive atmosphere, London’s main shopping streets are the place for holiday cheer. Stroll along Oxford Street amidst the hustle and bustle of holiday shoppers and follow the lights down Regent Street and over the funky and fun Carnaby Street. With street performers, musicians and holiday markets, Covent Garden is always a lively spot to soak up the holiday cheer in London. Stay tuned to the London Perfect Blog and we’ll be sharing about all the exciting Christmas light celebrations and events in London this holiday season! 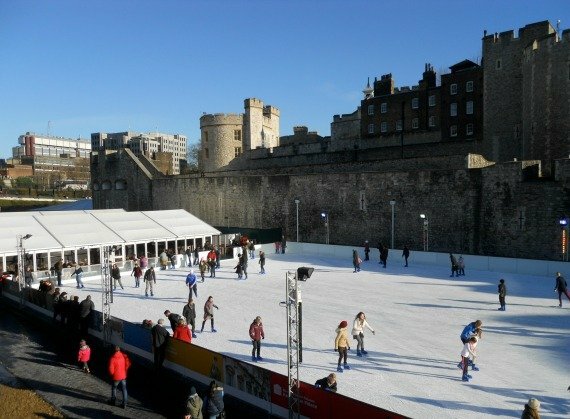 London really knows how to do ice rinks. You’ll find them in the city’s most iconic spots like below the Tower of London, at the London Eye, next to the Natural History Museum in South Kensington, in the courtyard of the Somerset House and so many more. That means they’re perfectly situated to enjoy a spin around the ice while out sightseeing. You’ll also find hot chocolate and mulled wine nearby to warm up – whether you’re just watching or brave enough to take a twirl around yourself! 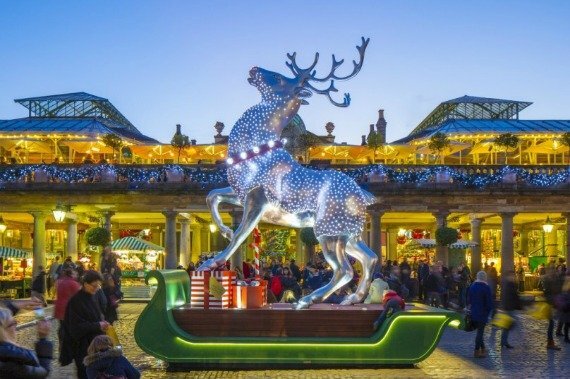 For winter fun and holiday cheer head to one of the Christmas markets in London. 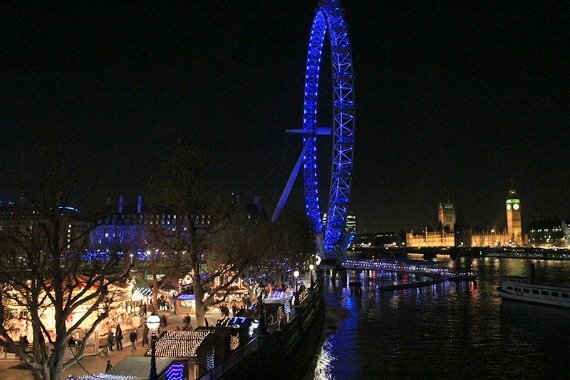 With a dramatically beautiful setting along the Thames with the London Eye, Big Ben and the Houses of Parliament in the distance, the Southbank Christmas Market scores big with its setting and the many chalets with seasonal food, gifts and more. For rides, ice skating, a Christmas market and fun for the whole family, then you’ll definitely want to visit Winter Wonderland in Hyde Park. The winter landscape at Kew Gardens is a thing of beauty and Christmas at Kew celebrates the glorious natural setting with a one-mile glittering trail that winds through the botanic gardens to create a magical nighttime experience. Running from November 26th to January 3rd, it’s just one of the reasons to put Kew on your winter must see list while you’re in London! 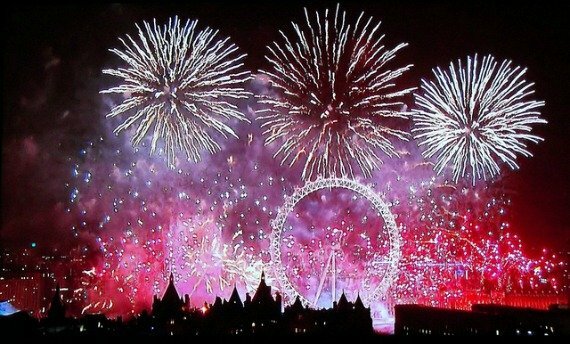 Ringing in the New Year in London is a thrilling experience! With one of the grandest fireworks displays in the world, there’s nothing quite like counting down to midnight with the crowds along the Thames or gathered in Trafalgar Square. Take a look at the spectacular New Year’s Eve fireworks this year for a taste of the excitement! Stay for the Winter Sales! While you might still be wondering just what Boxing Day is, what you really need to know in London is that it means SALES. And fabulous ones at that! 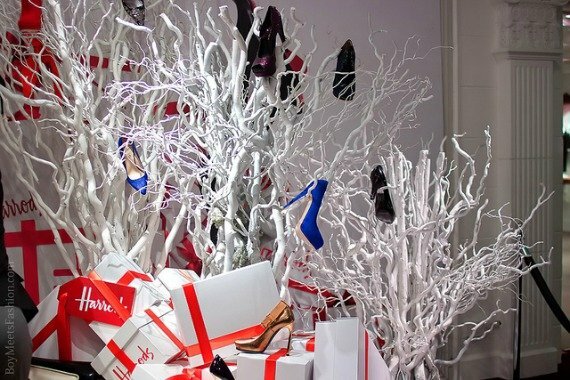 The day after Christmas marks the launch of many of the Boxing Day sales and winter sales in London, which is the perfect time to get all those things you spotted and fell in love with while out holiday shopping before Christmas. Come for Christmas, stay for the amazing New Year’s Eve celebrations … and the London winter sales! 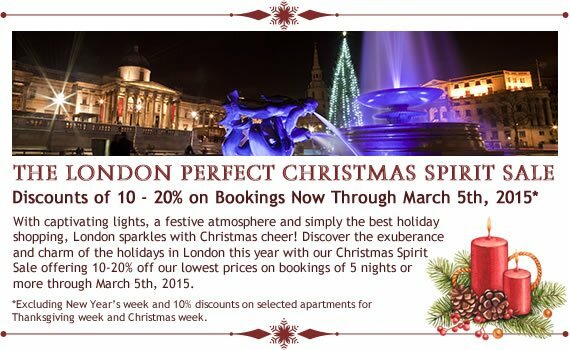 NEXT: London Perfect Christmas Spirit Sale – Book Now for a Charming Winter Stay! Posted on Monday, November 3rd, 2014 at 2:18 pm in See & Do. You can follow any responses to this entry through the RSS 2.0 feed. You can leave a response, or trackback from your own site.